By default, the preference page uses the “Standard” layout template. 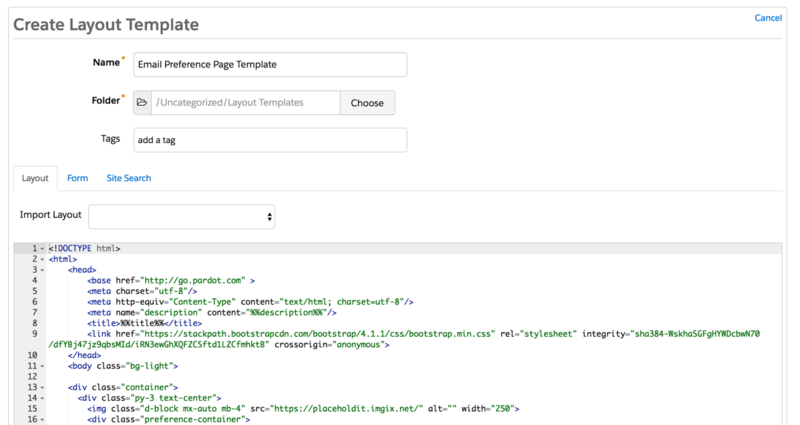 You can edit the “Standard” template or create a brand new layout template. 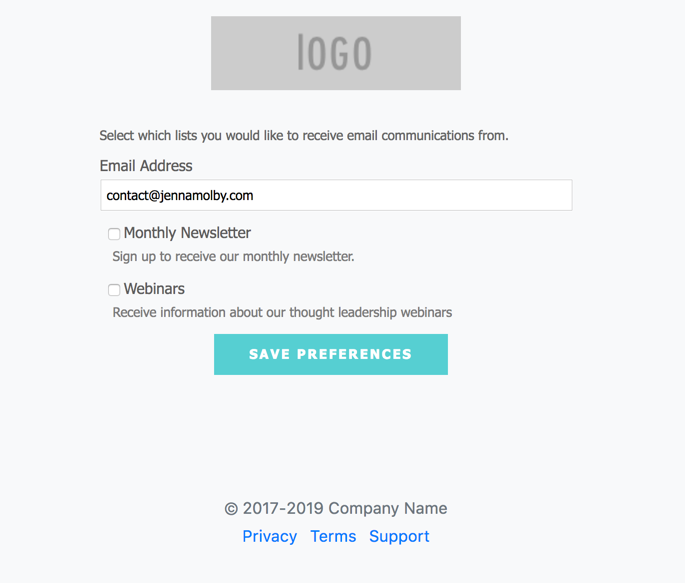 I recommend creating a brand new layout template that’s only used for the email preferences page. Create a new layout template (Marketing > Landing Page > Layout Templates > New Layout Template) and paste your HTML into the template. Add the tag %%content%% where you want the preference center form to appear. The preference page form can be styled as well to match your brand. To style your form, you will need to add some CSS to your layout template. This is what my page looks like without adding any CSS to the form. You can add whatever styles you want. Here are some elements you might want to style, along with the CSS classes. Applying all the styles left me with this result. Much better, right? You can also give the checkboxes within your form some flair. Check out my tutorial for creating beautiful checkboxes within Pardot forms. Here is my finished preference page with the styled checkboxes. 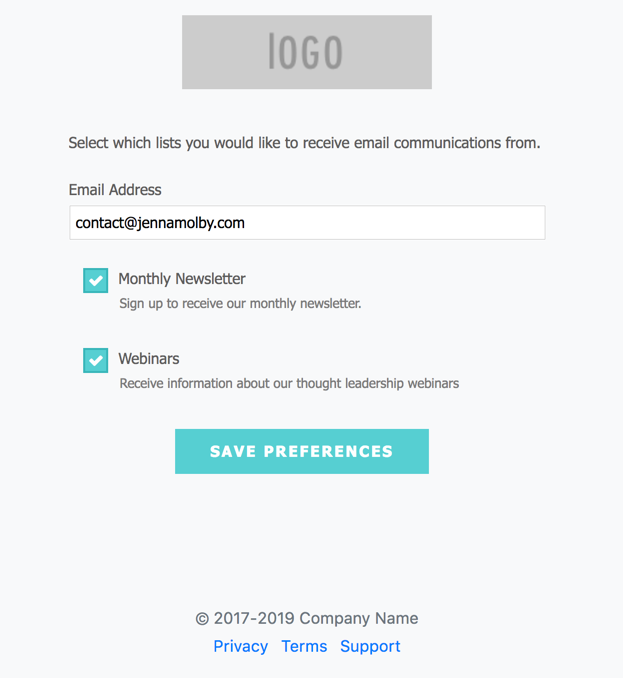 Thank you Jenna, this post was super helpful and relevant as we are in the process of designing our email preference page. Thank you so much for publishing this post and providing all of the css with comments on what the styling does! I had been looking for a way to elevate the look and feel of our preferences page. This was perfect!